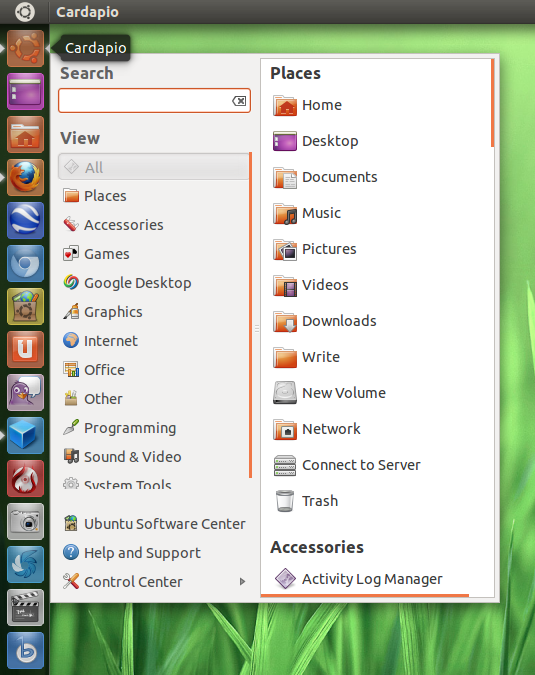 Cardapio is another Main Menu alternative for Ubuntu and the newest version can now work with Unity Launcher as well. Open your /home directory. Press Ctrl + H to see the hidden files and navigate to .local/share/applications. 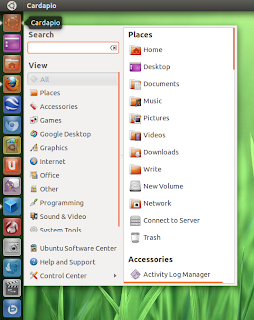 Drag and drop the "cardapio.desktop" file you see there to the Unity Launcher and you are done.